• 13 people like this. Do you like this? 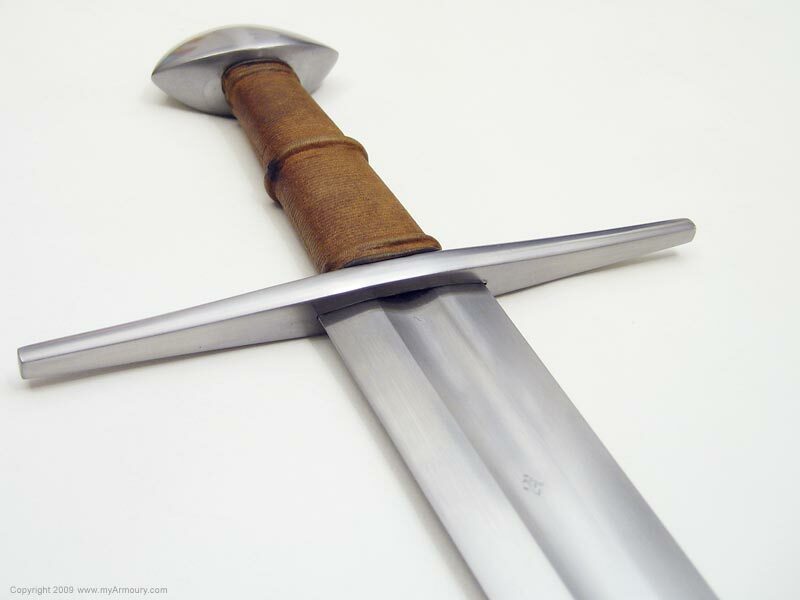 Viking warriors were known to name their weapons quite literally, with colorful names like "Leg-Biter" recorded in period literature. 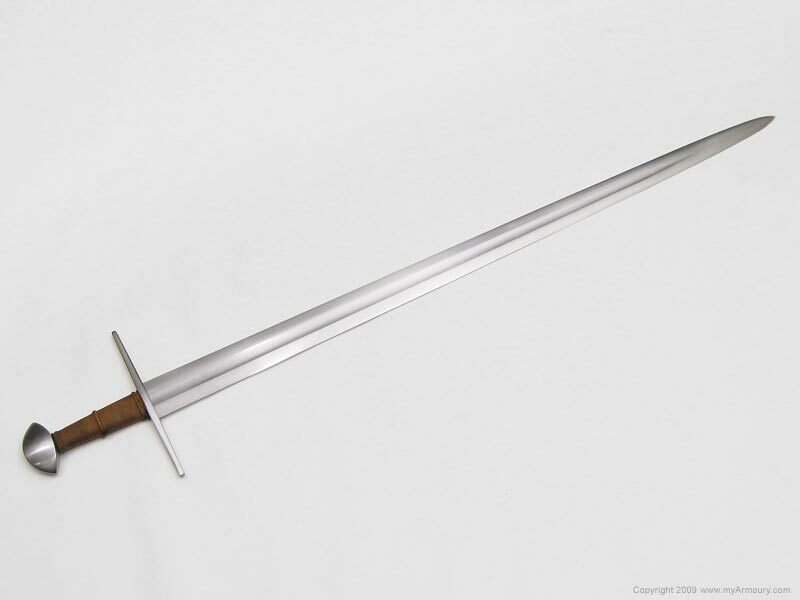 The form of hilt known as the gaddhjalt is similarly literal, meaning spike hilt. 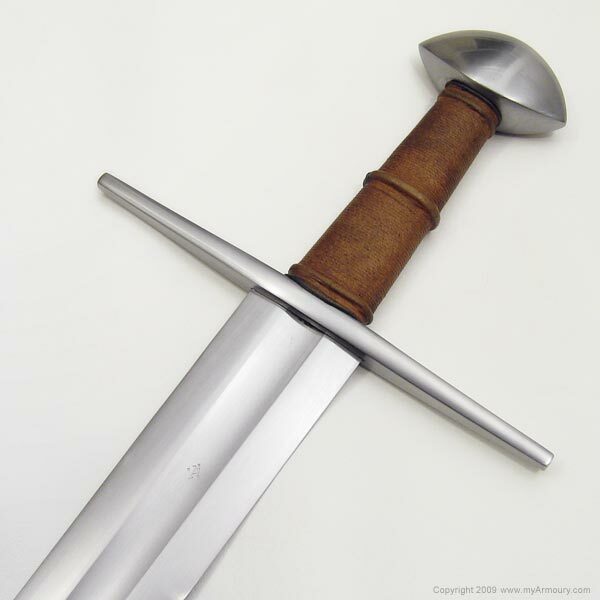 This type of guard was both wider and thinner than most guards of the Viking Age and tapers in thickness as it goes from the center to its tips. 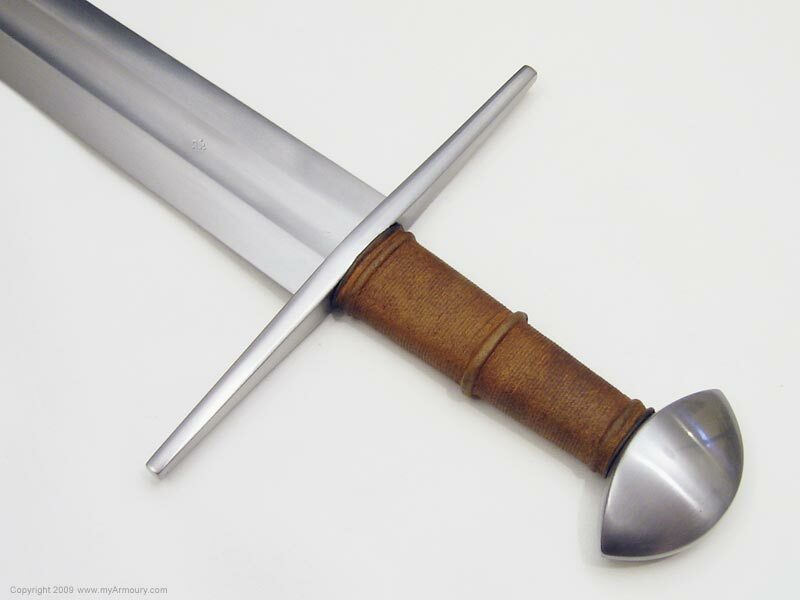 Usually married to a Brazil nut pommel, swords with these hilts were popular in the late Viking Age and afterwards, well into the 12th century. Albion's Gaddhjalt was the first of its Next Generation lineup to be released. It features a wide, flat blade with a fuller that nearly reaches the blade's tip. 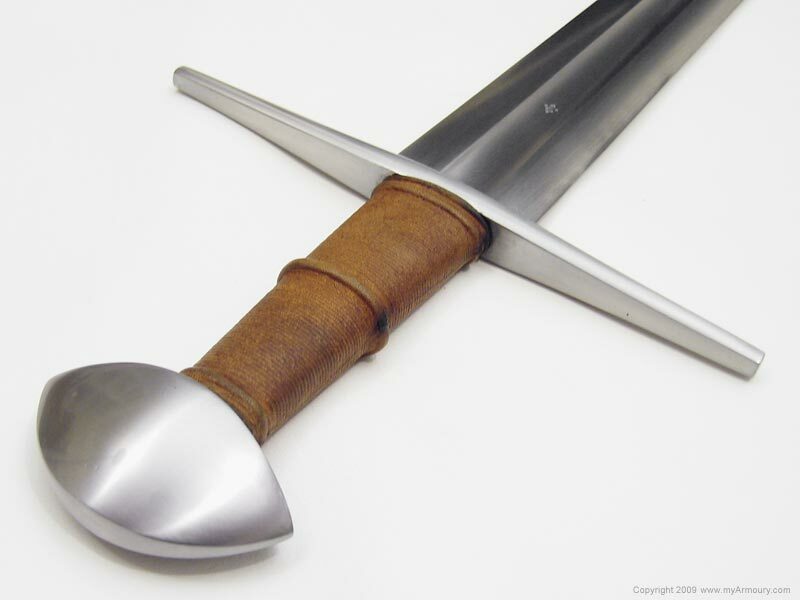 The guard is of the spiked form that gives the model its name while the pommel is a wide Brazil nut that tapers in thickness on multiple planes. 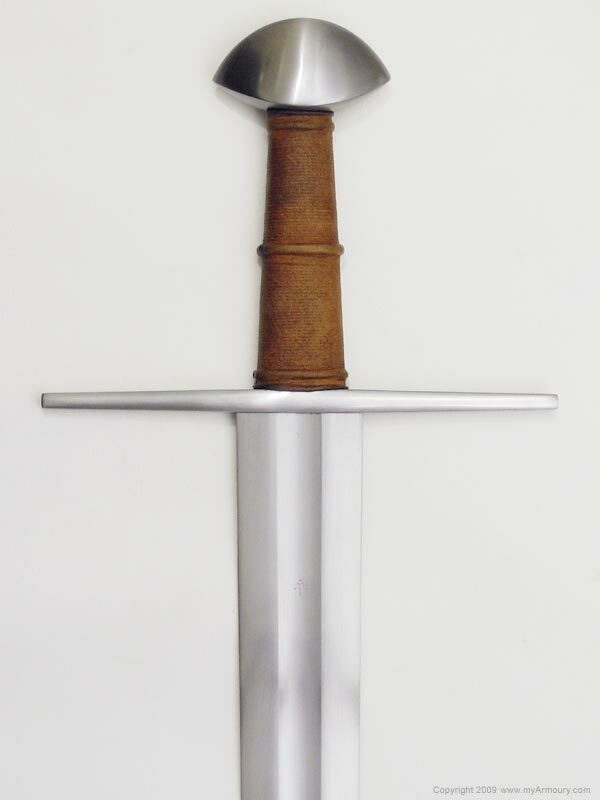 The leather-wrapped grip is dyed a color Albion calls "light brown". 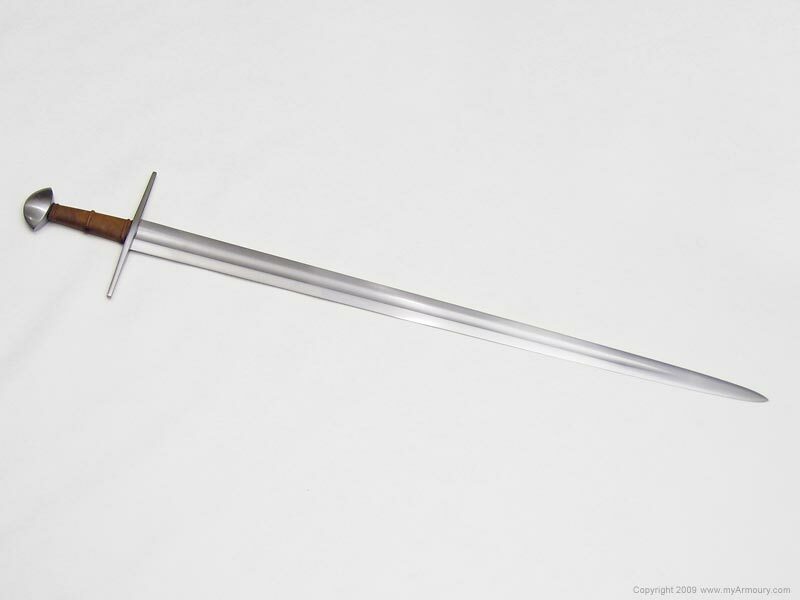 Blade: 35" long; 2" wide tapering to 1"